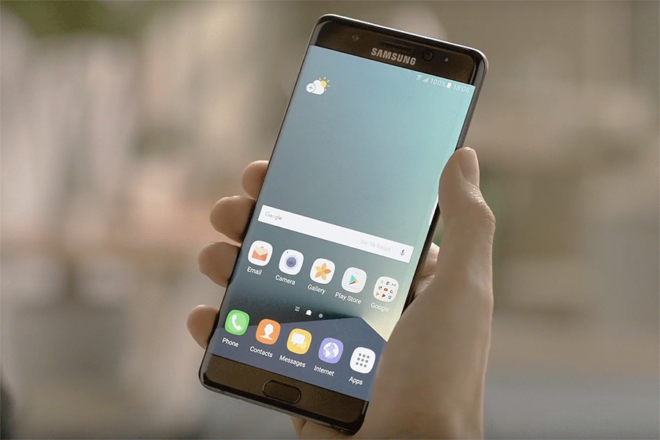 If you’re still using a Samsung Galaxy Note 7, your time with the device is about to come to an end. Today’s the day that T-Mobile will begin pushing an update to its Galaxy Note 7 that’ll prevent the phone from charging. The update will also include a notification with info about Samsung’s Note 7 recall and steps you should take to return the device. The update is version N930TUVU2APL2. Anyone still using a Note 7 can bring their device into a T-Mobile store to return it and get a full refund. All restocking charges will be waived, and if you got a free gift with your Note 7, you’ll be able to keep it. You can also get a $25 bill credit for returning your Note 7, and another $75 bill credit if you move to another Samsung device. The Galaxy Note 7 is a solid device with high-end specs and an attractive design, so it’s disappointing that it has to be killed off. That said, any Note 7s still out there are potentially dangerous to the owner and anyone around them, and so Note 7 phones that are still in use should be turned in. I’m wondering if this whole Note 7 fiasco drove up sales of the Google Pixel XL. I know I love my Pixel! Former Note 5 user. I would imagine it drove up sales of the Pixel XL, iPhone 7 Plus and the LG V20. Not to mention the S7 Edge. I’m just hoping they don’t kill the note series. They just need to make sure they take their time with the next one. Said no adult ever ! It slightly drove up other phones sales but none to brag about. Apple didn’t turn a profit in all of 2017. LG has released another phone with the bootlooping and the pixel is mediocre at best. HTC can’t make good phones Anymore. Not to mention, the ugly pixel is very lack luster. No SD, low grade water resistance, slower charging, worse battery life, ugly, dull screen, etc. A “solid” device for a ticking time bomb? And why is it “disappointing” to kill off a phone that can potentially cause harm to the user and those around them? Your choice of words to describe a brick is what is “disappointing”. Because on paper it was a solid device. As for engineering defects, it happens. That makes no sense but if it works for you…. Double check and make sure you won’t be charged for the Note 7 after you turn it in. I was charged for two months and finally got it corrected corrected in early november. Hopefully they’ll get the battery issue straightened out for the next Note version. Damn shame. The only phone with built in BBQ feature. Good night kaboom phone. Hope you get yours returned and select another phone before it’s too late. Well, if Samsung hadn’t decided to keep people from removing batteries, like LG still allows us to do, they could have simply recalled the faulty batteries, and the phones themselves might have been spared. But no, they have to follow everything Apple does, including building the battery into the phone. It’s actually a problem with the design of the phone. They didn’t leave enough space to compensate for natural swelling of batteries through use. So any battery made Li-ion battery made for use with a Note 7 would eventually blow up. You can’t have a premium built phone and high rated water proof phone with a removable battery . If you don’t like it don’t buy it their are plenty of other phones with removable batteries. Also a removable battery wouldn’t of helped the Note 7 issue anyway. Samsung hasn’t even announced what the note 7 issue is yet. You have no idea if it is the battery or not. It’s looking more like that it WAS NOT the battery. I prefer the better water resistance over removable battery. and LG? their newest flagship, the v20, is already bootlooping on people. the glass on the phone is breaking by itself. LG has made 5 flagships in a row that bootloop. LG is an awful phone maker. While its probably important to not have this phone exploding — does anyone find it disturbing that a manufacturer or cellular provider can basically disable your phone at their whim? Just not a big fan of a 3rd party deactivating a piece of hardware that I legally purchased and own without my knowledge or consent. I’m sure you would be one of the first people crying… why didn’t they do anything earlier… cant please everyone now a day. I stated that this is probably an important thing for Samsung to do. I was simply questioning what else could be done? The code to terminate the functionality of the charging port is probably not even at the OS level – its most likely at the “bios” level — something even a factory reset wouldn’t remove. I would not call it paranoid to wonder if a Manufacturer could alter the behavior of device without the users consent — when it just happened. You still own the phone that you purchased albeit now a paper weight. You never owned the software that runs the phone though. Samsung only gave you a “license” to use their software. They can do what ever they want with THEIR software. Return it and move on. The owner of the software can do with it as they see fit. It’s unlikely Microsoft WOULD do these things you suggested, but is it within their rights to? Absolutely. Too bad. Those units could’ve been used by soldiers in combat in lieu of grenades. I’m not a lawyer but I would think Samsung and the carriers would open themselves up to lawsuits for disabling a product somebody legally owns. I’m sure there’s something in the TOS that we don’t read that absolves both parties but this could get interesting. Not really, considering those devices have the propensity for catching fire and/or exploding. Plus, there’s an exchange program in place. Nobody in their right mind would hold onto a phone known to have such horrible issues and when it’s known that the carrier and manufacturer have had concrete plans to disable the phone due to said issues. It’s the user’s fault if they didn’t exchange the phone for something else, period. Yeah, if people want to be ignorant and still use a device that is a fire danger then Tmobile, Samsung, and any other carriers do not want to be a part of it. You can’t blame them. There is so much ignorance in this world today it’s unreal. As with many electronic devices with an operating system (game consoles, phones, tablets, etc…), you don’t own the software, and the company that does has the ability to change it any way they see fit without your permission, since as stated, they own the software–not you. And unless you paid full price for the phone and didn’t do a payment plan, you don’t own the phone either–the financier owns it until you make your final payment.